Google gives a solution finally for iPhone 5 users and iPhone/iPod Touch users running iOS 6 on their iDevice. 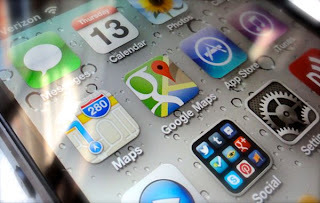 Google released their official Google Maps App for iPhone on December 13, 2012. As we know that Apple had lot of problems and complaints with iOS 6 In-Built Maps App. 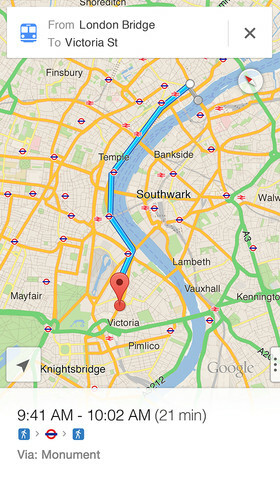 Maps on iOS 6 showed wrong places at times and users also faced problem with falling off warped bridges. Google Maps can now be installed and replaced with iOS 6 official maps application and only thing we need to do is download the App from the Appstore and there you go. 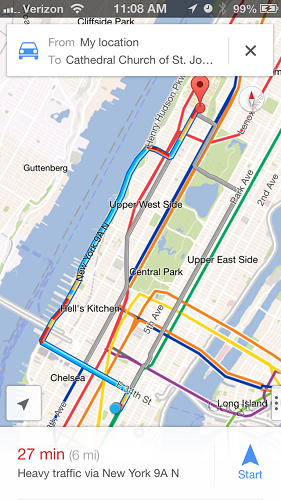 This is how Google Maps displayed on iDevices. 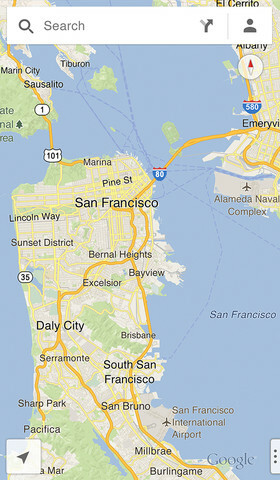 It does all the things that iPhone previously did when it had Google Maps on their Devices. But now it also includes the beta version of Voice-enabled car navigation. Its smoother and Attractive. Good for Users on Foot and in Car. Accurate route and POI data. Smooth and Vector based map Animation. 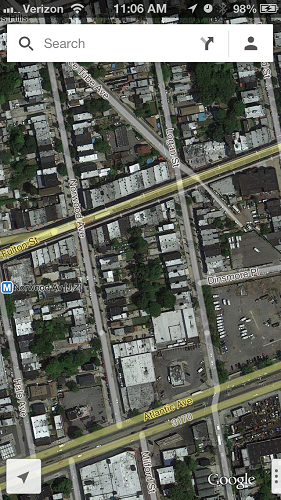 Amazing Satellite Data and Street view. Not Available for iPad yet. 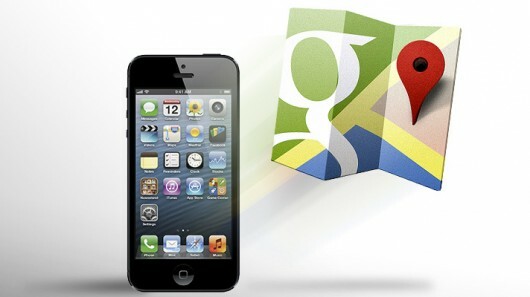 The new Google Maps App for iPhone 3GS, iPhone 4, iPhone 4S, iPhone 5, iPod Touch (3rd Generation), iPod Touch (4th Generation), iPod Touch (5th Generation). Users can Download the Google Maps App from Here.